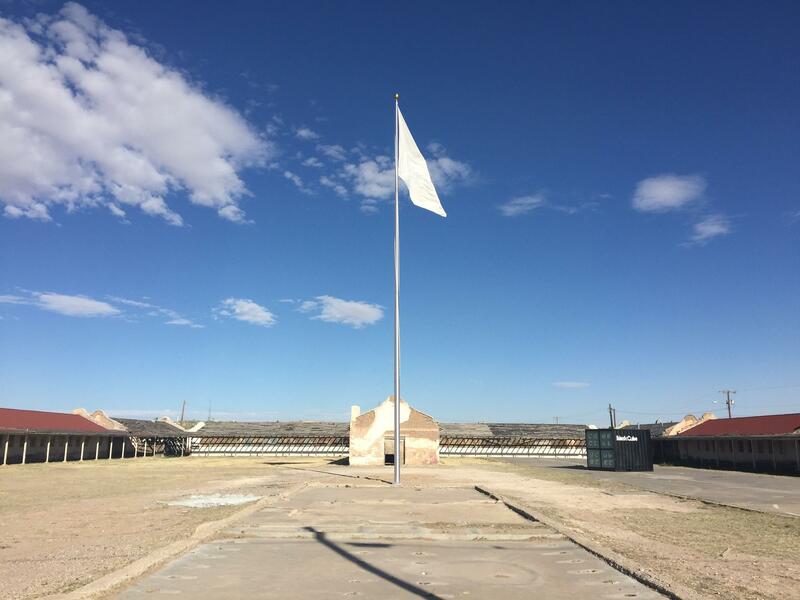 A solitary 60-foot flagpole hoisting a large-scale white, cotton flag can now be seen on the El Paso–Juárez horizon. Embroidered on either side of the flag is the illustration of a “Mexican” golden eagle and an “American” bald eagle, each emblematic of their respective nation’s patriotism. This site-specific artwork, created by Texas-based artist and Black Cube Fellow Adriana Corral, stands as counter-monument for the Rio Vista Farm, a facility most notably recognized as a key processing center for the Bracero Program.